Mobilebet is an online bookie offering a wealth of statistical info and wagering variety on sports from around the world. Opening for business back in 2014, the company has its headquarters based in Malta. With so many stats on hand, it’s a good choice for those of us who like to get stuck in and analyse the situation before committing to a bet, although this is by no means a requirement – in fact, they even have Quick Bets on offer. Although they showcase a decent range of sporting events to bet on, Mobilebet does tend to specialise in one or two particular areas, especially Football where the range and depth of markets is vast. And of course, they place a lot of focus on the mobile betting market with both their Sportsbook and Casino, as the name suggests, offering their customers the chance to win anywhere, anytime. Mobilebet aren’t known for offering the best odds in the business, but they aren’t the worst either, and if you use odds comparison sites you might find them coming out on top every now and again. They also tend to stick to likely outcomes rather than offering odds on longshots. Longshot wagers can be fun, no doubt, but have you ever had one come in? Over the years, the rate of return is unlikely to be favourable, so at least you can’t waste your money on them if they aren’t there. Better to keep an eye on the Price Boosts that Mobilebet regularly offer and see if one of those tickles your fancy instead. The focus is firmly fixed in the direction of Football, with over 1,600 different events from around the world on offer at the time of writing. Want to bet on the Oman Premier League? Of course you do, and at Mobilebet you can. The depth of these markets is quite something too, regularly breaking into the hundreds for bigger games and offering double figures even for the Algerian U21 League, for example. Horse Racing punters should probably look elsewhere, but Basketball, Ice Hockey and Winter Sports fans will be as well looked after as anywhere else. 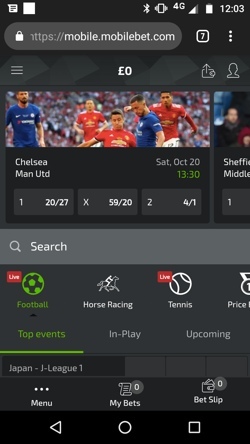 There are markets from 35 sports in total, but it seems like Mobilebet have gone all out to attract Football fans, then skipped the second tier sports like Cricket etc, and made a bee line for the slightly more niche markets. The key thing about Mobilebet, though, is that it is a stat heavy site; you could get lost in the amount of information available, even when it comes to less popular sports like Badminton etc. If you bet seriously on Football, though, you are in for a real treat. There is a mountain of data to wade through if you want to, on teams, leagues, individual players, even referees. There is a search bar too if you want info on something/someone specific. This level of statistical detail applies to In-Play betting too. 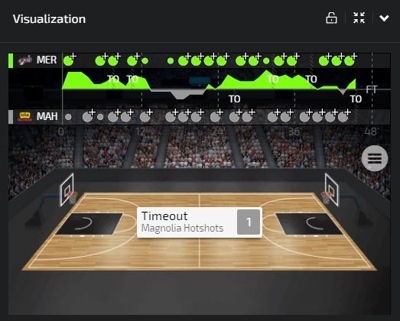 You can usually expect to find a minimum of 300 In-Play events each day at Mobilebet, and the interface mimics the rest of the site to a degree. You can opt to view events in specific sports only to make things more manageable if you like, and a handy schedule lets players know what is coming up. Unfortunately, Live Streaming isn’t currently an option, but they have certainly done everything in their power to make up for this: a thorough and visually impressive live graphic keeps punters updated second by second, and offers live stats galore on both desktop and mobile devices. Obviously, this level of detail varies from sport to sport and game to game (sometimes there isn’t much at all) but you will almost certainly be spoilt when it comes to bigger events. Some of the graphic interfaces, especially the football one, might take a bit of getting used to because there are so many features to explore and not a lot of help in teaching you how it works, but once you get the hang of it it’s incredibly beneficial and fun to use. The graphic also serves as a map in that you can pin point where on the pitch certain events have happened. Nifty stuff. Punters will also be made well aware when Fast Markets are available if that gets the adrenaline pumping for you. There are some good options available when banking with Mobilebet, including the lesser spotted mobile option, Siru. However, be wary, because gambling with Mobilebet could cost you money before you have even placed a wager. Sadly, there are fees associated with some of the payment options at Mobilebet. Skrill, Neteller and Paysafecard will all incur a 5% fee to deposit while using Siru will cost you between £1.67 and £4.18; worse still, you are limited to 2 free withdrawals in any 30 day period – go over this and it will cost you £4.00 a pop. However, for your money you will have your requests processed at their end within 24 hours, which isn’t bad. Although limited to Football, Horse Racing and Greyhound Racing, games/races start every 3 minutes so you will never have to wait long for the next one to start. This is one of the benefits of betting on something that isn’t real we suppose. The quality of the visuals is better than we have seen elsewhere and the commentary adds to it, although it does become repetitive after a while. The scope of markets is varied enough to keep things interesting, though, if Virtuals are your cup of tea. A simple reward system allocates points to those bettors who log in every day, confirm their phone number, deposit, withdraw etc. 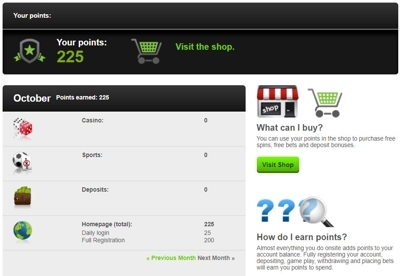 The number of points you are awarded will depend on what you are betting on, but all points can be ‘spent’ in the Mobilebet shop which is open 24/7 – probably because it doesn’t require staff. The shop sells freespins on certain slot games and free bets of varying amounts on different sports. Just look out for wagering requirements. You may also be offered bonuses from time to time which you can choose to take up if they suit you, and these can be found and activated in your own personal Bonus section accessible from the Homepage. Cashout is available if you want to settle your bet early for whatever reason; maybe you feel you have pushed your luck as far as it will go and would rather quit while you are ahead than risk it all for a bigger pay off. However, it is only available on certain bets and markets, so keep your eye out for the Cashout symbol on your bet slip if you are considering this option. 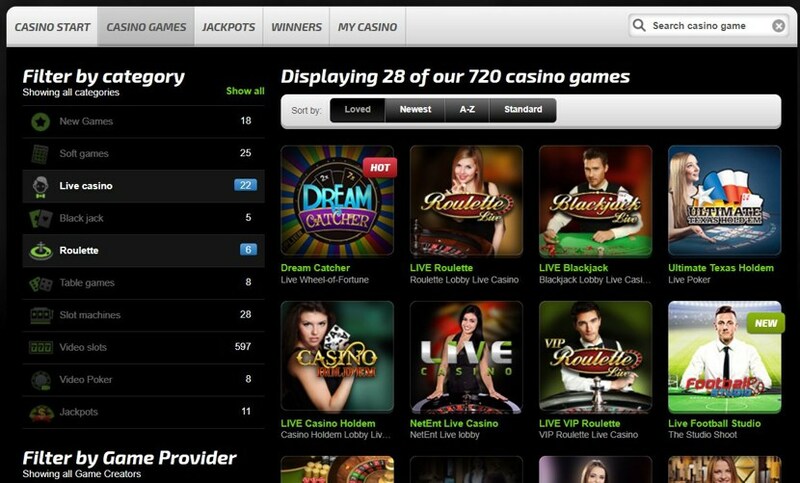 There is a Casino arm to the Mobilebet site, which offers around 600 slots, 40 tables games such as Roulette, Blackjack, Baccarat and Pontoon, as well as a Live Casino where you can watch the dealer via video link up for a more immersive experience. The good thing about the Casino is that it has a brilliant range of developers powering it, like NetEnt, Evolution and Microgaming if you know the online gaming world well. There is the odd promotion on offer as well as a rewards system if you plan to game fairly frequently. In terms of design, the site has simplicity at its core, and most of the energy when building it clearly went on the excellent functionality rather than aesthetics. However, it is a bit on the slow side to put it politely, plus the whole page needs to reload after every move you make, which makes for a cumbersome journey from one step to the next and only emphasises the lack of pace. The whole thing needs to feel more fluid. That said, the features on show are fantastic, and guide you towards the events of the day in the first instance, displaying In-Play, Upcoming, and Highlight events as standard. Finding future bets is no struggle, though, as the sport categories are well organised in drop down menu’s clearly displaying the number of events/markets on offer, and there is also a search bar and a Shortcuts menu for the most popular choices. Quick Bets are on hand for those of you who want to get in and out without too much fuss, and the Help, Banking and Account tabs are clearly marked and no trouble to use. 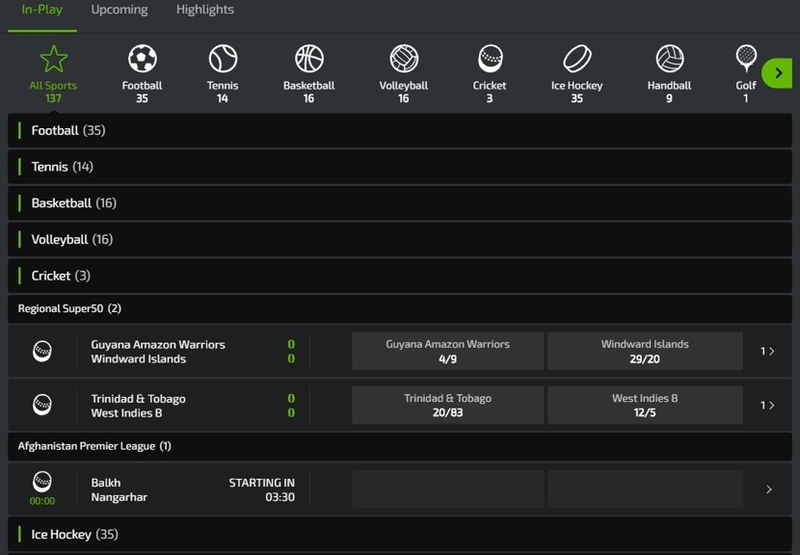 The whole thing feels more like a stock brokers exchange or an online workstation; it has a professional feel especially when it comes to live betting, and that is probably because it’s built from SBTech’s Sportsbook platform. SBTech Ltd are known for their innovative features and outstanding live betting capabilities, and generally attract the more studious breed of punter. 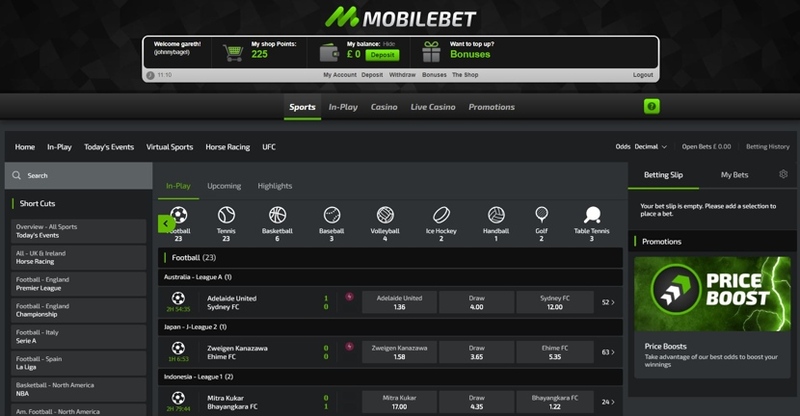 Considering Mobilebet is called Mobilebet, you would expect the mobile site to be brilliant. What a disappointment. It was so slow to load that we were left wondering if the phone had frozen on a black screen. To be fair to them once it got going it ran smoothly, that is until we tried to move on to a different section of the site: opening the betslip was another long drawn out affair, and some non-responsive buttons only compounded our frustrations. The thing is, the site could actually be brilliant if it wasn’t so inconsistent in performance. It is easy to use in terms of navigation and interface, the layout works, the major features are all there and easily accessible; but we wouldn’t want to be using it in the dying moments of a game when we were trying to cash out quickly, for example – we might end up throwing our phone at the ref. Coming onto the scene in 2014, Mobilbet, as they were then known, clearly saw a gap in the market for a company whose priority was betting on the move. Many other bookies had a mobile product, but Mobilebet made it their USP – and also added an ‘e’ to their name after a few years. Owned and operated by Co-Gaming Ltd in Malta, they were all about simplicity from the start, eschewing gimmicks and bombastic advertising campaigns in favour of letting their straightforward yet comprehensive product speak for itself. It seems to be working so far, and while they may not be winning any awards, they have amassed a loyal customer base who appreciate the statistical analysis on offer as well as their no-nonsense approach to gambling. If patience is one of your virtues and you like to get down to the nitty gritty when wagering then this one could be for you. While punters who are new to sports betting certainly won’t have any issues using the site either, it is definitely a good option for those who consider themselves more experienced, and like to carefully weigh up the pros and cons of each bet they make. You could spend hours looking for patterns and likely outcomes with the statistics on offer, and you won’t be bothered by adverts or flashy promo banners while you do it. Just keep an eye on the sites’ annoying tendency to log you out after a few minutes of being idle. It’s a real mixed bag here. 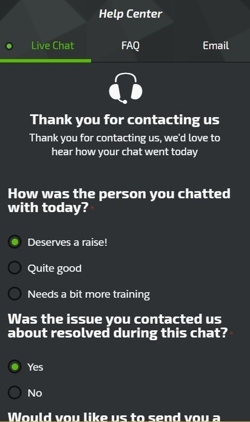 On the one hand the Live Chat is easy to access (made even easier when you are trying to deposit/withdraw) and the staff are super quick and efficient when responding; on the other hand, it’s only available 9am-8pm and they sometimes go for tea breaks and turn it off. The FAQ is incorporated into the Live Chat box and is well tailored as well as searchable; but there is no phone line for those of you that prefer a personal approach. E-mail response times are good, but the account is only manned between 9am-9pm. So you see, for every positive there is a – well, we won’t call them negatives – let’s say a not so positive. Still, chances are that most queries won’t be so urgent they can’t wait a few hours, but be aware you might have to call it a night and wait until morning if something goes wrong after 9pm. Live Chat – This can be found immediately when clicking the green question mark Help icon. Also includes and FAQ and search option. You can even suggest giving the rep a raise if you liked them. Lovely. E-mail – Available via a contact form in the Help section. Very easy to access and use and active a little longer than Live Chat. Phone – If they have one then we couldn’t find it, and we looked everywhere. @MobilebetUK – With over 23,000 followers you know this account is active. A great source of info for current information and offers.